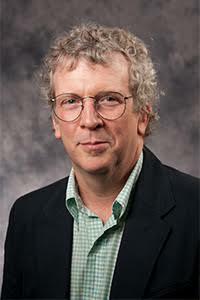 Randall Curren is a philosopher of education and moral psychologist. He is a Professor of Philosophy and Professor of Education (secondary) at the University of Rochester (New York) and has held concurrent positions at the Institute for Advanced Study (Princeton, New Jersey), the University of Birmingham (England), and the Royal Institute of Philosophy (London). His most recent book is Living Well Now and in the Future: Why Sustainability Matters (MIT Press, 2017). He was interviewed for our #EdLeaders series by our co-founder, Nicole. Tell me a little about you – who you are and your journey in the world of education. Oh boy, okay. I'll try to give you the short version. So, I grew up in New Orleans. I thought, and everyone thought, that I would be scientist. But I discovered philosophy very, very young and it was by first stumbling on an ethics book at a bookstore. I'm not sure I knew it was philosophy, but I read it and was absolutely blown away by it. And then I discovered philosophy of mathematics and that was a decisive turn into philosophy as I was beginning high school. I actually started reading in and writing a little bit in philosophy of education when I was still in high school. So, that's probably not what you expected to hear. I went through college and graduate school in philosophy. I took a year off after my first year of doctoral work and did substitute teaching in a variety of New Orleans schools. I started reading in educational sociology, history, and a little bit of philosophy then. But it was more in things we would think of as broadly, educational foundations, while I was doing that teaching. The paper I wrote in high school was a critique of the testing practices in my school. I had been reading a 1929 classic by the philosopher Alfred North Whitehead, The Aims of Education. He presents a theory of the cycle of learning and it became evident to me that the way we were being evaluated. . . didn't allow for what Whitehead thought was the culminating third-stage of education where you come to deeper understanding and grasp larger lessons. If you reach that stage, then the learning stays with you longer and has a much more profound effect than if you stop after all of the minutia, all of the details, and then get tested on all of the details. I was thinking pretty seriously, as much as one can at the age of sixteen, about education and its proper aims and how it's related to human development and learning. Take a moment and think about a child you care about. When you’re ready, tell me about that child. Could you tell me a little bit about what makes them unique and special? Well, let’s try my son. I had a son when I was still in graduate school, and he was a beautiful child. I guess every parent thinks that. I learned things from him that are relevant to my thinking about education. I suppose the first thing was that as soon as I became a parent, and I was from the beginning his primary caretaker, it profoundly changed my understanding of what I was doing as a teacher. I just saw that an aspect of teaching is that we’re the grown-ups and we have a responsibility to present an understanding of the world and how to make your way in it. And we have to be thinking about how what we’re teaching is related to that, is part of that. It’s an ethical [aspect] of the task of teaching that had not occurred to me before. But [having a young child] was also fascinating. There’s no getting around the fact that being a parent is challenging. Children are growing and changing rapidly and as soon as you think you understand them, they’re on to the next stage. "I just saw that an aspect of teaching is that we’re the grown-ups and we have a responsibility to present an understanding of the world and how to make your way in it. And we have to be thinking about how what we’re teaching is related to that, is part of that. It’s an ethical [aspect] of the task of teaching that had not occurred to me before." "I wanted him to try and explore things. I really wanted him to be able to find what was of interest to him that could be rewarding to him." What did you hope for your son in his childhood? What’s a good childhood? I think at the time I didn’t have particularly deep thoughts about it, but I wanted him to try and explore things. I really wanted him to be able to find what was of interest to him that could be rewarding to him. I loved doing things with him where he was racing ahead sometimes of what he was getting in school. For instance, I was teaching him some higher bits of math when he was getting first grade math--that didn't play out particularly well with the school. I taught him how to program before he could learn programming computers at school. I tried to create a space where he could try things and I could be supportive in him trying things, so he could find what he was good at and what he really wanted to do. When I [later] read . . . Joel Feinberg, “The Child's Right to an Open Future,” the picture he’s got is similar to that: You don’t have a flourishing life unless you . . . [satisfy] certain needs, and one of them is to be able to find things you are interested in enough to invest the effort in becoming good at them. I think there are activities of a good life that involve both a certain amount of exertion [and] . . . you can feel competent most of the time. . . [and] you care about what you’re doing. You care about the value of what’s at stake so that it comes to be second-nature that you devote yourself to it. And you use the capabilities you're developing in devoting yourself to it with the idea that there's something valuable at stake that you’re meaningfully relating to. I think kids can master all kinds of things and be on a kind-of treadmill where they don't really stop--and they aren’t given a chance to pause and think if it’s what they want to do--whether it's something that matters to them. It’s a sort-of checklist: did that, did that. Students are very task-oriented now, and very accomplishment oriented. It’s very resume-building for so many of them from so young. I worry about the bleakness of that--that they go far too many years without finding something that they just want to commit to and devote themselves to in a way that's really meaningful. I just hoped from the beginning that by giving [my son] room to explore things and trying to be supportive in that process, that he would find something meaningful. I feel gratified that what he came to in the end is very meaningful to him, doing the kind of work he's doing. And it’s not what he went to college imagining he would do--he thought he would do mechanical engineering. I think he, at that point, didn't really know what he wanted but was imagining it would be lucrative. And I see so many college students like that, too. Now, imagine--or I guess he's already an adult so you don't need to imagine. But think of your son as an adult, out of school and starting into adult life. What do you hope for him about his life? What would make it a ‘good’ or ‘successful’ life? I think there’s a necessary continuity between childhood and adulthood. You can tell I’m drawn back to the general points, but I think many people--the way they think about education--they think of it as an investment in the future. You’re “acquiring knowledge and skills.” I’m sure that parents are hoping their children will have a good life, and they’re focused a lot on work. I think the truth about the way people develop is that you can’t defer the stage of finding inherent reward in what you’re doing and have it work out well. That is, I think the truth about motivation and development is that it’s a progress along a path. It’s very important that children experience themselves as making progress towards living well. "I think the truth about the way people develop is that you can’t defer the stage of finding inherent reward in what you’re doing and have it work out well. That is, I think the truth about motivation and development is that it’s a progress along a path. It’s very important that children experience themselves as making progress towards living well." We have to do it in a way that connects them in rewarding ways with other people. They have relational needs, needs to experience themselves as competent, and there's a need to be self-determining. And you can't be self-determining in a way that's satisfying unless you have the intellectual capacity to make reasonably good decisions for yourself. I see people as having intellectual potential, creative or productive potential, and social potential. And we need to fulfill all three of those types of potentials well, or in positive ways, or in other words in ways that rise to certain standards of excellence or that display certain kinds virtues--intellectual virtues, social virtues, [and] whatever the relevant forms of excellence are in different athletic, artistic, or intellectual domains. So, I think the activities of a good life are activities that are admirable and where in performing those activities we experience pleasure and satisfaction. I think that's the substance of a good life--engaging enough of the time in activities that are inherently rewarding and admirable. Admirable, in that they are activities that fulfill our potential well. I think what we want, what we should want, is to help children find their way in different spheres of activity. Not because we insist that they be scientists, or the most highly active citizens in their community, or whatever the spheres are, but because they are good ones to try for them and society. We want them to find some mix of activities in their lives where they can experiences those inherent rewards: they find it meaningful, they are enjoying fulfillment of their intellectual, relational, and creative potential. In my studies, this is a key conclusion I've come to: when we really understand human motivation and well-being, it has to be this path of success building on success. It’s not a long delay of the rewards. It’s not like the goal is to be rich and you're going to be a child and you're going to suffer and one day you'll get the golden ticket to fame and fortune. That's just a crazy view of living well, in part because it’s fixated on life-goal orientations that we know make people less happy. We have hundreds of studies on these things, so we know that students who go off to college with materialistic, status-seeking, or superficial beauty image [orientations]—[what] we call extrinsic life-goal orientations-- . . . are [likely to be] less happy. [These orientations] are also predictive of them doing less well in school. If they're not orienting to finding the intrinsic rewards in studying the things they're studying, they just won’t perform as well. Extrinsic motivation predicts a higher error rate, less sustained engagement, and a shallower engagement with what you're studying. Those are three independent things that are established in the research, so that kind of extrinsic life-goal orientation is not favorable to sustaining learning or high-quality learning. Independently of that, it’s a predictor of people being less happy. There's a lot of reason here why I think the conventional view is not a very productive way to think about what we're doing as educators. Some of my students [have] said that within their elite high school, their peers talked about the "race to nowhere." They are all so focused on resume-building and getting into a good college that it's not part of how they're being raised and oriented to the world that they would actually be allowed to figure out what they really want to do. I think some of those students can get through college before they ever really confront the fact that they've got a life to live. And their orientation to it and their sense of purpose is going to matter enormously to how happy they are and how well they're living. "I think some of those students can get through college before they ever really confront the fact that they've got a life to live. And their orientation to it and their sense of purpose is going to matter enormously to how happy they are and how well they're living." There’s some complexity to that question. My own theory of justice is eudaimonic [focused on flourishing or living well]. I think that if we step back and ask ourselves what we would want of our society and what we want of our institutions, I think we would have no hesitation in saying that the aim of them should be to enable us to live well. . . So, schools have to be focused on enabling each child in the school’s care to make progress towards living a good life. [And] I don’t think living well as a child is developmentally separable [from the path to living well as an adult that schools can provide]. I [also] think a society that is well-functioning in allowing everyone to live well is a society that has to exhibit a type of reciprocity where we experience ourselves as part of a cooperative society [in which] we’re all contributing in various ways to everyone else being able to live well. . . . [And this requires institutions that provide settings in which we can engage in the admirable and personally rewarding activities of a good life.] This is not how we think about the organization of work right now. We think about the organization of work as whatever is efficient for businesses being profitable and we have some limit on how bad workers can be treated. But we don’t really have a balanced view of the function of work in people’s lives pertaining to whether they are able to engage in that large chunk of their waking lives in activities that are meaningful and rewarding, and not just productive. [When such meaning and reward is absent] it causes people immense pain, whether they recognize it or not. It causes them to be suffer, [especially when they are] forced into economic relations that exploit others. Part of what schools need to do [is that] they need to make choices about preparing us to live a life that’s good for us, that is also a life that is contributing to everyone else being able to live well. Not many people want to talk about virtues in schools. I think it’s unavoidable. I think that experiencing positive social connection is absolutely crucial to living well, to people's happiness. I think it should be a focus of schools--how children are socially or ethically developing. Social ethics is simple, it needn't be connected in any way to religion and I wouldn't want it to be in schools. But I think that’s part of it for me [and] isn’t for some people. So, I would like to see a much bigger emphasis on civic education on schools. I think a child-centered orientation is one that is able to recognize this just reciprocity. People have different views about the priority of education for the child versus education for the society. And these can only be reconciled in ideal conditions. But I think the arguments are strong for a child focused view. I think a just society would see itself as having a fundamental responsibility to enable people to live well, especially in the things that they can’t provide themselves, such as education. So, I do take a child-centered view, but I think that the truth about human nature is that you’re not going to prepare people to live happily if you’re putting them in a context that encourages them, for instance, to hate other people. People can feel justified in hate or in showing less respect for others. But the truth is that people may feel justified in it, but they still suffer in that. They won't admit it or they won't see it when they're caught up in the mindset, but the evidence is that it’s bad for them. If I had to give one important reason for appropriate moral education in schools--of this very basic kind I'm talking about--it's that people need it to be able to live well. They need to be able to relate to others in ways that affirm everybody's value. Are schools currently playing this role for children? Some children? All children? I’m going to hazard a guess [that is] partly based on my own experience in schools and say that I think they are doing it for some children. For over twenty years, I taught classes in education ethics and philosophy of education. I had many practitioners in my classes. I served for a couple of years on the shared decision making team at an elementary school and helped design a civic education program for it. It’s been awhile since I’ve been a student myself. I think most people who come into teaching really care about kids, and feel a very sincere desire to help kids along in finding their way in the world. I don’t think they have always been educated themselves in a way that gives them the kind of understanding that I would want them to [have]. But I have found when I've had a chance to have them in my classrooms and work with them in schools, that teachers are really drawn to the sorts of things we’ve been talking about. I think schools are providing teachers with less space to do this than they were a few years ago. The situation in society is presenting greater difficulties to doing it. The whole situation is so much more desperate--in important respects--than it has been. But I do think it’s what teachers by and large come to the profession for and if we gave them more space to do it, they would do a better job of it. . . . I've been working for years trying to understand the growth dynamic of school systems and how the escalating credentialing race has made things much more difficult. We’re focused now on trying to get every child to college, and trying to create incentives for schools to be really focused on that--on getting kids into college. But, that’s not enough because what happens when they get there matters. It’s another curse of a limited metric of success. The fact that the focus is on college is itself a manifestation of where we are in the growth cycle of educational systems. College is now absolutely essential. It wasn't 30 years ago. No one identified a dropout problem until the sixties--well, why? Because in 1950 barely half of Americans had more than an elementary education. It's an astounding fact when you think about it. The Educational Revolution--I think that's a good term--has completely changed society and global culture. We’ve grown educational systems in the name of educational opportunity as much as anything else, and there [hasn’t been enough]recognition that growth per-se is never going to be a substitute for equity of access. And it's never going to be a substitute for having much better pathways for people who don’t go on to higher levels of the system. Right now, we’re essentially forcing everyone to go to college, with the result that the people who really want to get ahead now have to have more than just college. So, I think the way we are thinking about structural reform is horribly flawed because the biggest, most important structural feature of our system is being completely ignored. And that's the fact that everyone is essentially forced to go to higher and higher levels with the idea that what differentiates you, what gives you workplace advantage, is the higher degree. It’s more about how far, how high, you go in the system than about the specific capabilities that you acquire at any particular stage. [This is a] bit of an exaggeration, but not too much. If we're seeing anything in the political crisis in this country right now, it’s the enormous significance of lacking a college degree versus having a college degree. That's not a good way for society to be. It’s so polarizing. It's so polarizing in a way that is making the non-college educated people want to tear the whole system down. And, they rightly have felt left behind. But if you go back a generation, it wasn't such a big deal to not have a college degree. Now, it's like the end of the world. I think that’s a basic structural feature [of the educational system] right now that we have to overcome. It’s basic to the way we're forcing schools to feel so anxious about kids having any future at all. Of course, the lack of background justice in the society is a huge factor too. But, if we’re just talking about what schools can do--we have to think about structural reform in a different way. And of course, I think a ton of kids are being done a terrible disservice by the society and expecting schools to fix this and give them a shot is not working. And it’s not working partly because it’s instrumentalizing everything in a furiously desperate way. "We know enough about how it works. Supporting kids' autonomy needs doesn’t mean there’s no structure. Supporting their relationship needs doesn't mean they run wild playing. You have to create a structure where they’re able to satisfy those needs, or their frustration will cause them to check-out of what you're trying to accomplish with them." I’m not sure I have enough data points to say how widely--I think a lot of what I’ve been saying, many people find very attractive. There are parts of the way that I think about living well that are newer to some people than others. There are further questions that some people would ask that I think I have answers to. But I've been working this out over a number of years. I think there isn’t anything about it that is going to strike people as inherently right or left, which I think is a good thing about it. It’s trying to return to a kind of naturalistic, open to science, way of thinking about human nature and what human beings actually need. I think so many institutions are operating on mere supposition about what motivates people--mere supposition. And they could do so much better in achieving their goals if they understood that for people to stay motivated [the institutions] have to create a setting where people can satisfy their basic needs working within the framework of the institution. It’s a win-win. [I tried to explain this recently in a discussion of] the brutality of the No Excuses schools, [and one objection] was, "You have to understand there's all this disorder and behavior problems in some of these schools." I've been there. I've taught in some of these schools in New Orleans housing projects. I've been there. [The objection] is just another way of sidestepping the fundamental claim that we know how discipline works. We know enough about how it works. Supporting kids' autonomy needs doesn’t mean there’s no structure. Supporting their relationship needs doesn't mean they run wild playing. You have to create a structure where they’re able to satisfy those needs, or their frustration will cause them to check-out of what you're trying to accomplish with them.